Tethering Software (PDANet) –>Download PDANet for Android (Windows) here (safe and virus-free) . All of these pieces of software can be easily obtained with the links above and once installed, you can begin the process of tethering your device. 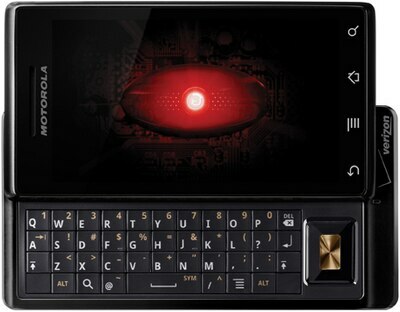 Step 1: Install the PDANet software on your computer as well as on the Motorola Droid. As soon as you install it, the USB driver will be installed (in theory), but if this does not happen, then you may proceed to install the USB driver separately. Step 2: Ensure that USB debugging enabled, and connect the Droid to the USB port on the smartphone. Once this is done, launch the PDANet software and click: “Turn PdaNet On” After this option is enabled you may feel free to go to your PC and click “Connect” on the taskbar. Step3: At this point the Verizon droid is successfully tethered, and as this is complete, it would be a good idea to pair the phone with your PC using the Bluetooth connection. This might sound a bit odd, but once you have tethered successfully, create a Dial Up networking Connection, and when you are asked which modem you would like to use, select: Bluetooth Modem Driver. Once this is done it will ask you for a username and password, but you can simply select that you do not need to use one. You can also use ‘123’ as the telephone number and proceed. Once this is done you will be able to tether using Bluetooth, which can be extremely useful! As you can see, it’s pretty easy to connect your phone to your computer. You can enjoy high-speed internet and reap the benefits of this wireless connection. Note that it will not be the fastest connection in the world by any means, but it will most certainly be convenient if you need to check your mail, surf the web, or perform any other internet tasks.